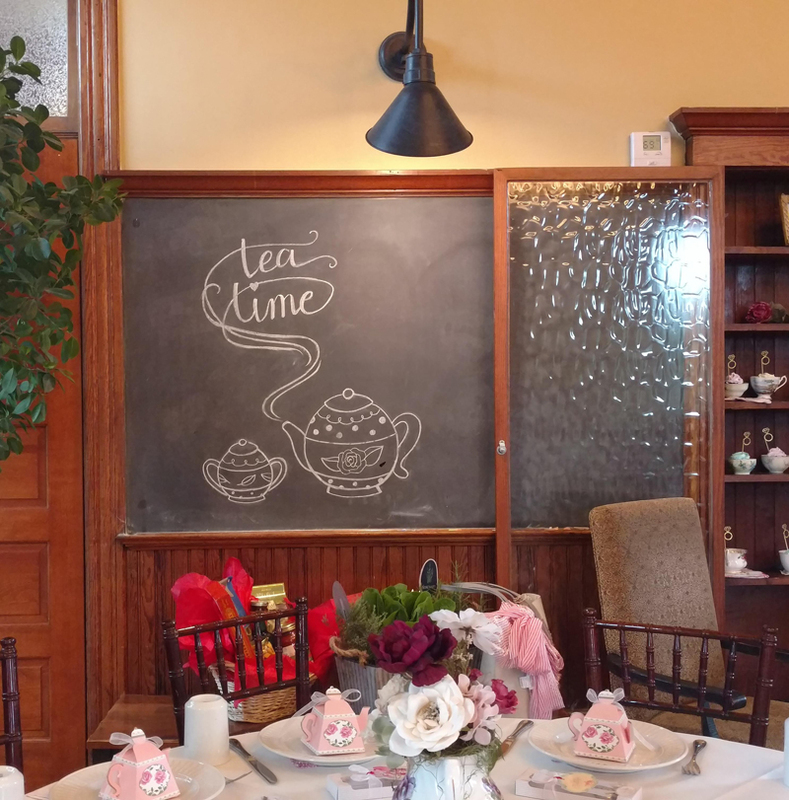 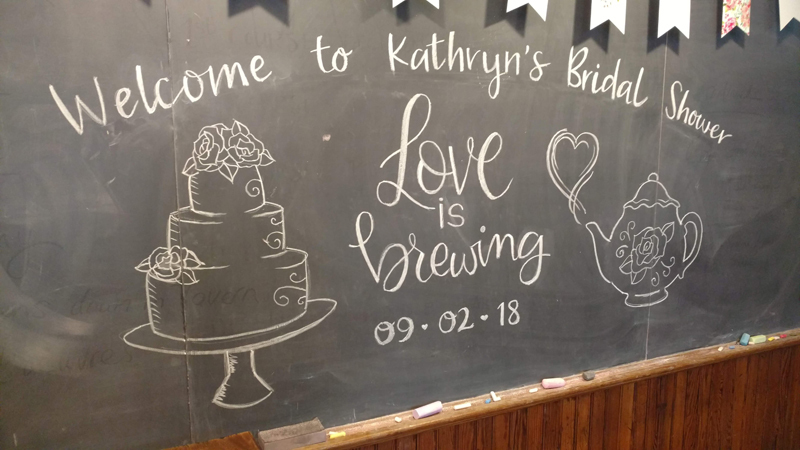 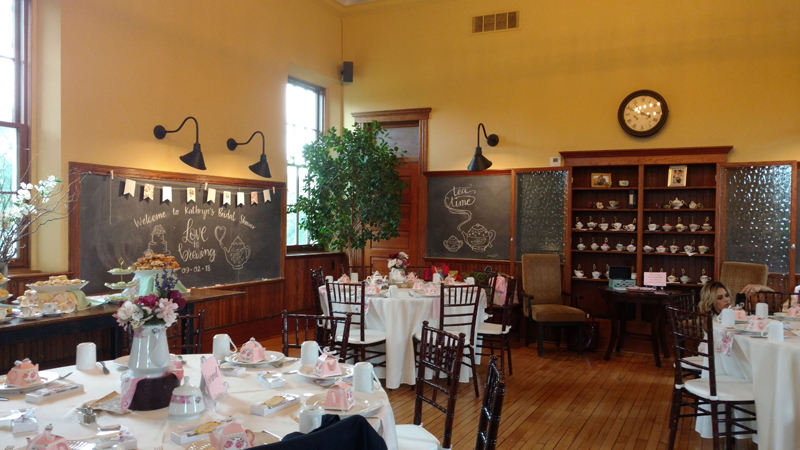 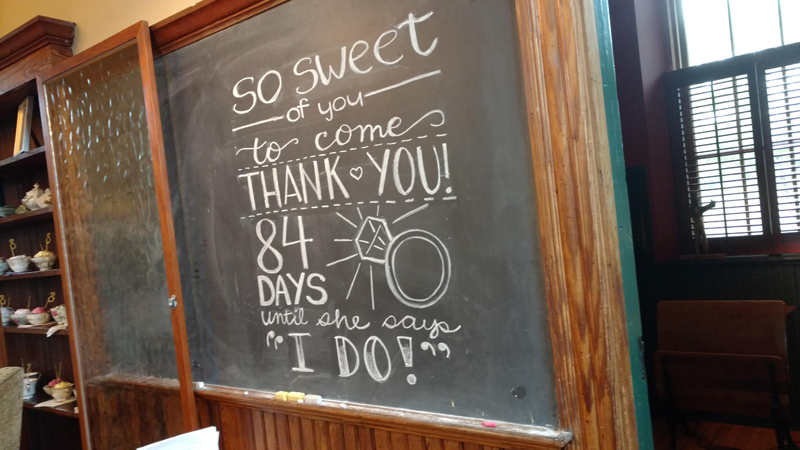 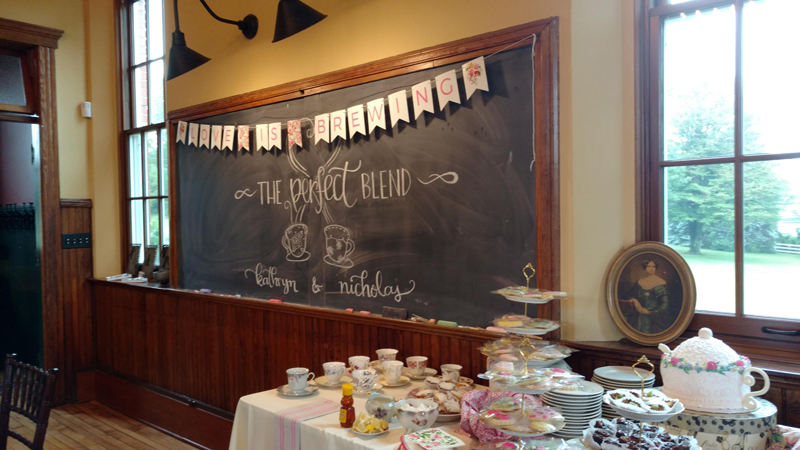 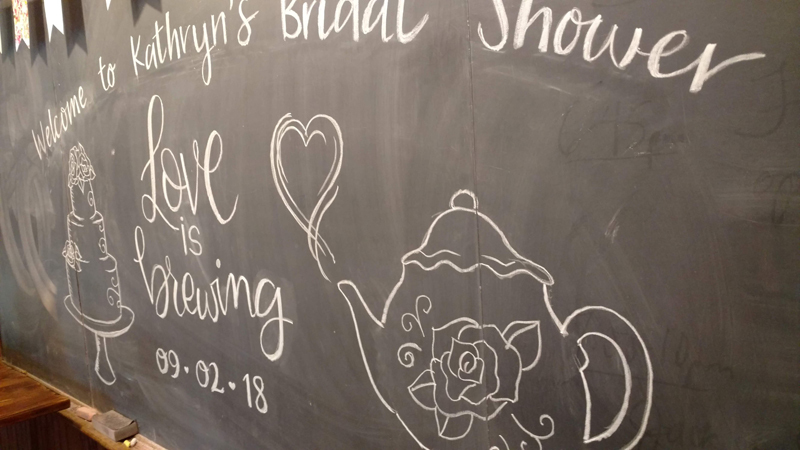 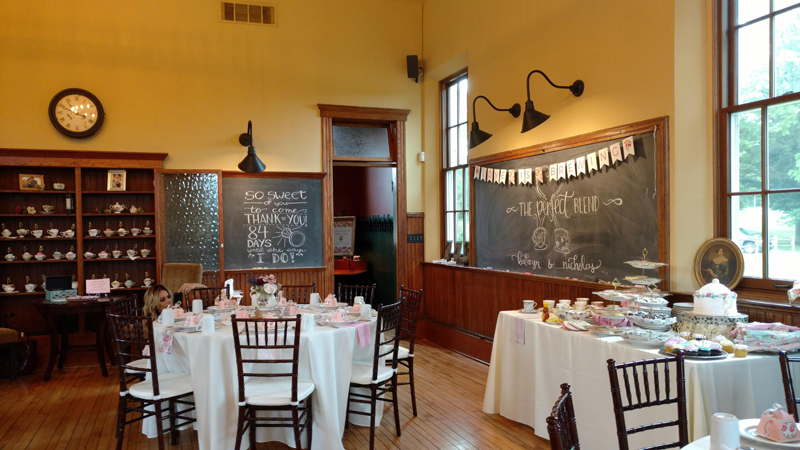 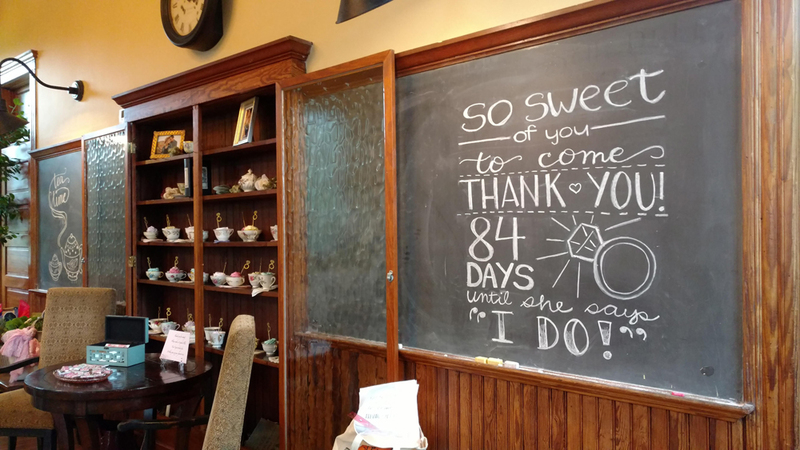 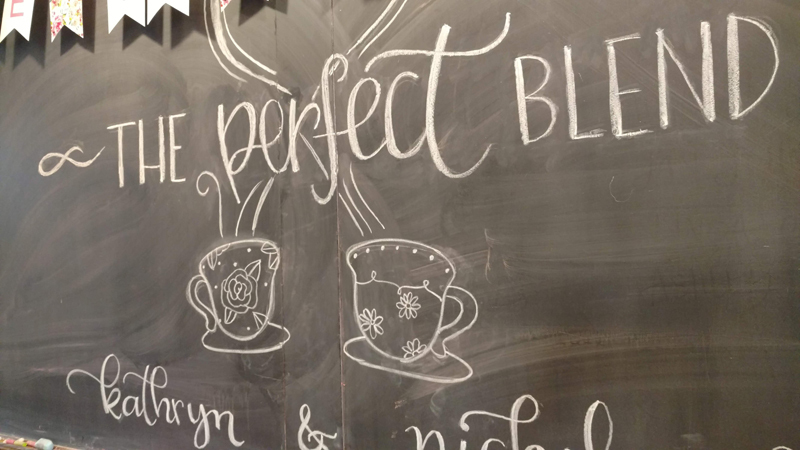 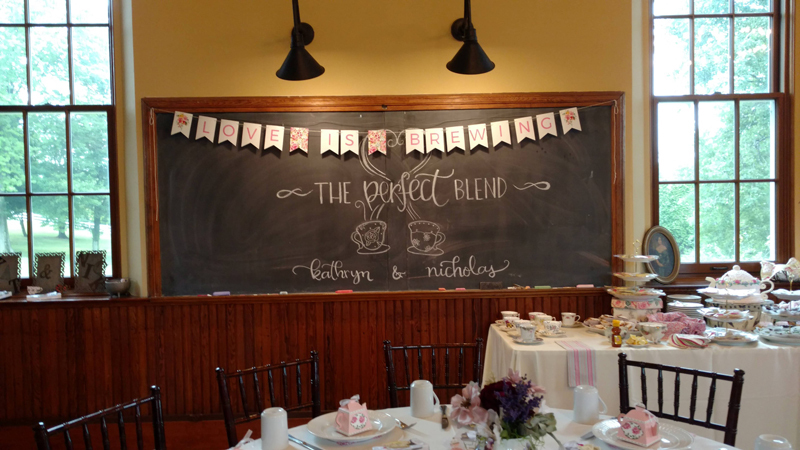 In June 2018, I designed 4 chalkboards for a tea-party themed bridal shower in Fairview, PA. Two of the chalkboards were full-size and the other two were smaller. 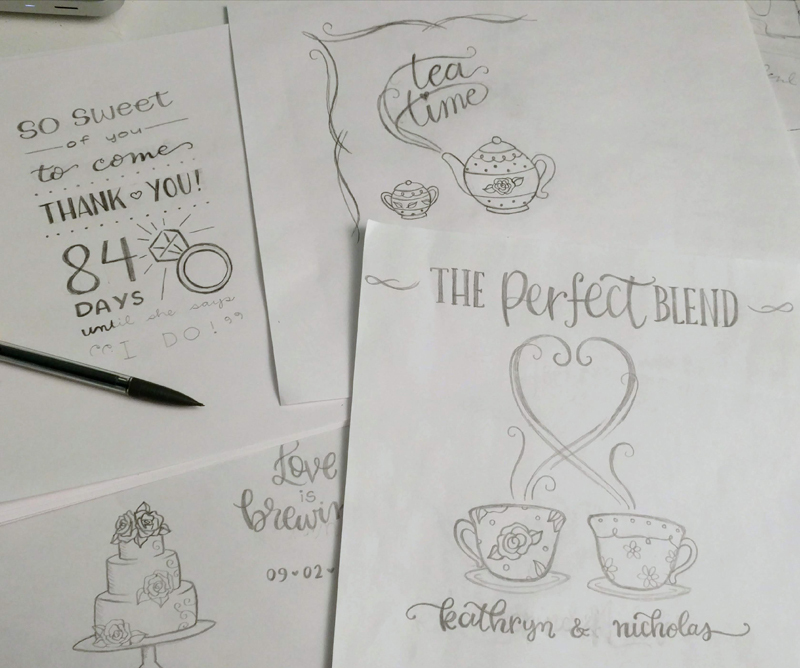 I first created sketches and sent to the client for approval. 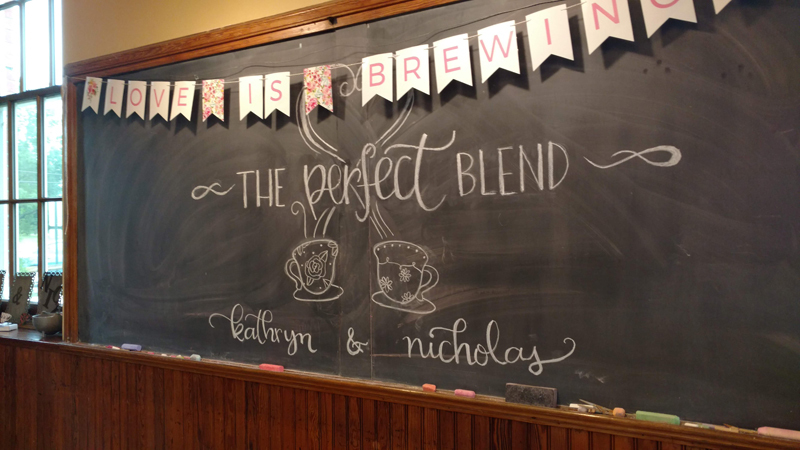 On the day of the bridal shower, I needed to complete the chalkboards by 11am. 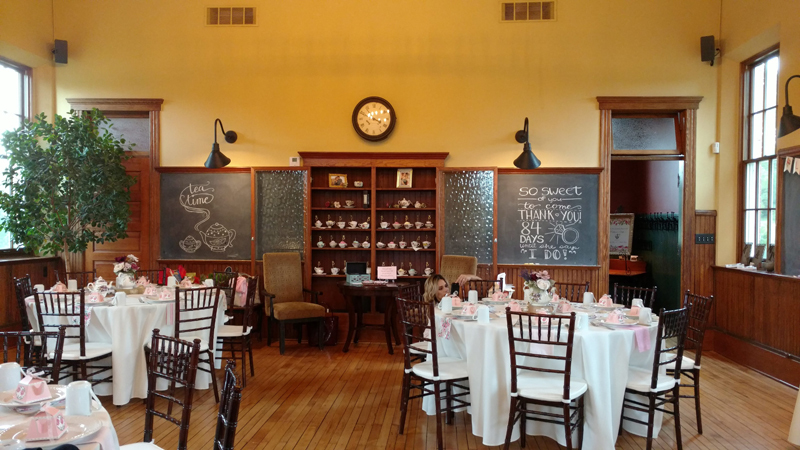 I started around 8:30, and finished just in time (2.5 hrs). 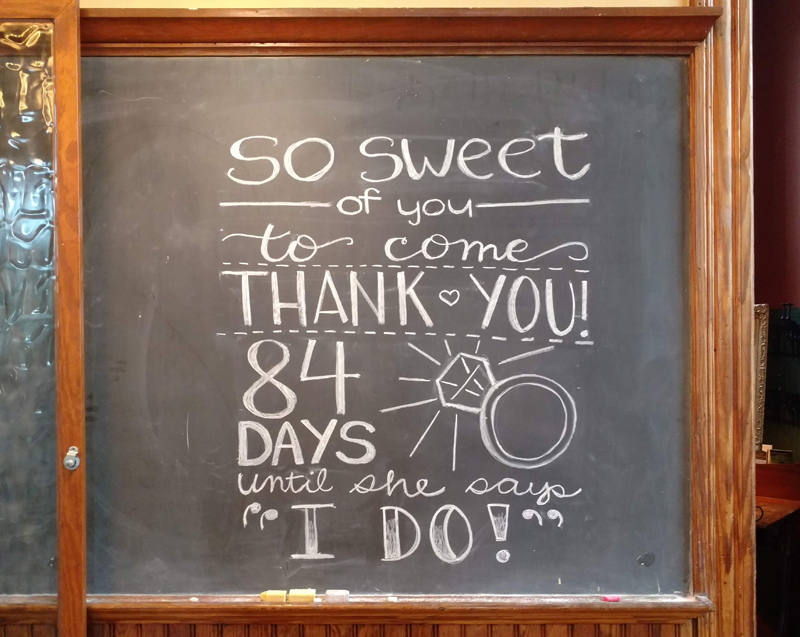 I am so happy with how it turned out! 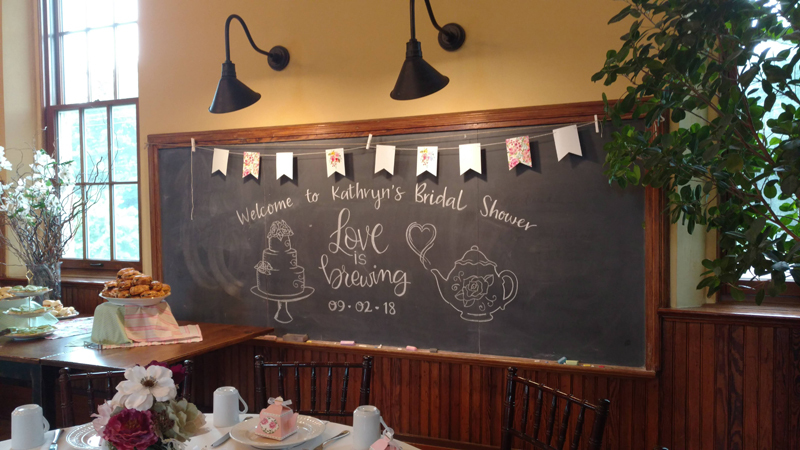 I think it was such a great compliment to the theme of the shower.